Mongolia, historically Outer Mongolia, country located in north-central Asia. It is roughly oval in shape, measuring 1,486 miles (2,392 km) from west to east and, at its maximum, 782 miles (1,259 km) from north to south. Mongolia’s land area is roughly equivalent to that of the countries of western and central Europe, and it lies in a similar latitude range. Landlocked Mongolia is located between Russia to the north and China to the south, deep within the interior of eastern Asia far from any ocean. The country has a marked continental climate, with long cold winters and short cool-to-hot summers. 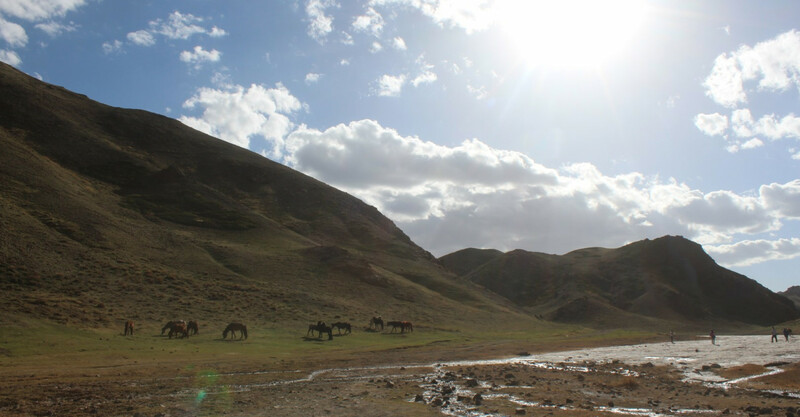 The country contains very little arable land, where most of it is covered by steppes, mountains to the north and west and the Gobi Desert on the south. Approximately 30% of the population is nomadic or semi-nomadic people. The predominant religion in Mongolia is Buddhism, and the majority of the state's citizens are of Mongol ethnicity Khalkh population, whereas Kazakhs, Tuvans, and other minorities reside in the western part of the country. Administrative division of Mongolia is divided into 21 aimags (provinces), which are in turn divided into 329 sums(districts).